Given the complexities involved with government contracting, DasNet has readily available contract instruments that will provide contracting officers with fewer obstacles in obtaining our services. This solicitation is seeking providers for Assistive Technology Goods and Services for Persons with Disabilities. This may include, but is not limited to, hardware, software, equipment, furniture and associated services designed to assist the mentally and physically disabled person community. Types of items that may be included in your proposal would include any goods and associated services that assist disabled persons in educational, work or other life skills or needs. It is the purpose of this solicitation to establish awarded vendor agreements to satisfy the procurement needs of participating member entities in this particular commodity category. These awarded agreements will enable member entities to purchase on an “as needed” basis from competitively awarded agreements with high performance vendors. This solicitation is seeking providers for Wireless Data and Voice. Sales and servicing of wireless data and voice equipment and services, installation of wireless data and voice equipment, rental of wireless data and voice equipment, repair of wireless data and voice equipment or any related service to support wireless data and voice equipment. Servicing of audio visual equipment, installation of audio visual equipment, rental of audio visual equipment, repair of audio visual equipment or any related service to support Audio Visual Equipment. All audio visual equipment, supplies and services, or any related supply or equipment. Refurbished Computers and Equipment. Destruction of old computers and equipment. This solicitation is seeking providers for: Telephone and Communications Data Systems and Solutions. 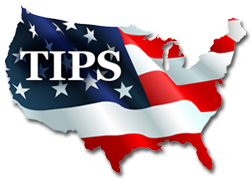 This solicitation is seeking providers for: Technology Solutions Products and Services. A multiple-award procurement vehicle provides IT and computer technologies for all Federal Government agencies. 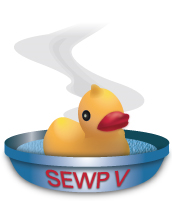 DasNet was awarded a contract in October, 2014; however, the implementation of all of the SEWP V contract awards was delayed by protest. Over the past six months, NASA has reevaluated all of the original winning proposals and has sustained DasNet's award in the Group C Category. DasNet will be providing Server Support and Multifunctional Devices to support NASA's mission. The Alliant SB GWAC is a competitive, multiple award, indefinite-delivery, indefinite-quantity small business set-aside contract. The contract is designed to provide worldwide information technology solutions to federal agencies while strengthening opportunities in federal contracting for small businesses. The IT Schedule 70 program was established by GSA to assist federal government agencies with their procurement of IT products, services and solutions as needed to meet their agency IT missions. This Multiple Award Schedule grants agencies direct access to commercial experts who can thoroughly address the needs of the government IT community. 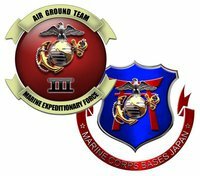 This contract supports the Marine Corps Bases Japan (MCBJ), G6 Operations and Plans Branch, as an Indefinite Delivery Indefinite Quantity (IDIQ) to provide turn-key solutions for unclassified, U.S. Secret, and Coalition Secret voice, video data and upgrades throughout Okinawa and Mainland Japan. This contract will be incrementally funded over a three (3) year period, allowing projects and services to be conducted in several phases. It will also allow for the acquisition of Network Centric Information Technology, Networking, Telephony, and Security NCITNTS system solutions, systems management, operations, sustainment, testing, maintenance, configuration management, centralized logistics and inventory management support, spares and/or supplies. DasNet has teamed with Synnex to offer AV products and services through its contract schedule with the General Services Administration. The GSA Professional Audio/Video Solutions Schedule 58 I Contract is designed to meet the digital telecommunications and security surveillance needs of federal agencies – from the most basic to the most sophisticated.